Attorney General Jim Hood addresses law enforcement workers at the Mississippi Crime Stoppers annual conference. BILOXI, MS (WLOX) - Mississippi Attorney General Jim Hood made an appearance Mississippi Crime Stoppers Annual Training Conference. 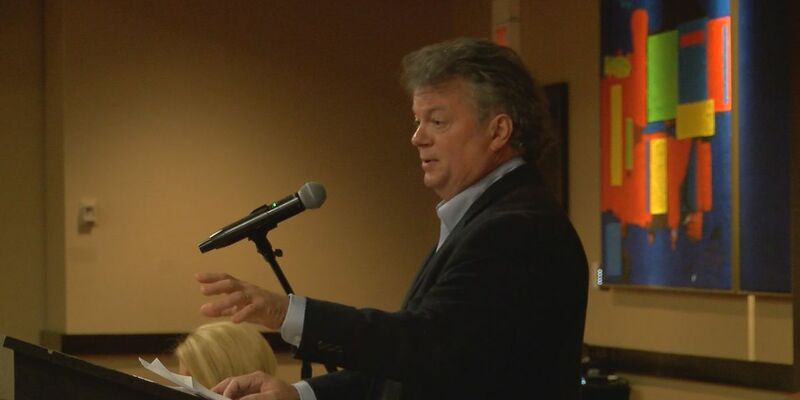 Hood, who announced his run for governor in early October, was the guest speaker during a luncheon at the IP Casino Resort Spa, where the conference was hosted. Law enforcement professionals from around the state came to the Coast to engage in professional development sessions. Hood complimented the Crime Stoppers anonymous reporting feature for its efficiency in solving crimes on all levels. He also stressed the role it plays in keeping trust between law enforcement officers and the communities they serve. Hood said he’ll continue to push for state lawmakers to give more funding for programs like Crime Stoppers in the future.